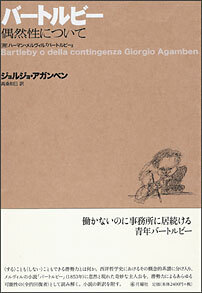 原著："Bartleby o della contingenza" by Giorgio Agamben, 1993. / "Bartleby" by Herman Melville, 1856(1853). Copyright (C) 2005 Getsuyosha Limited. All Rights Reserved.